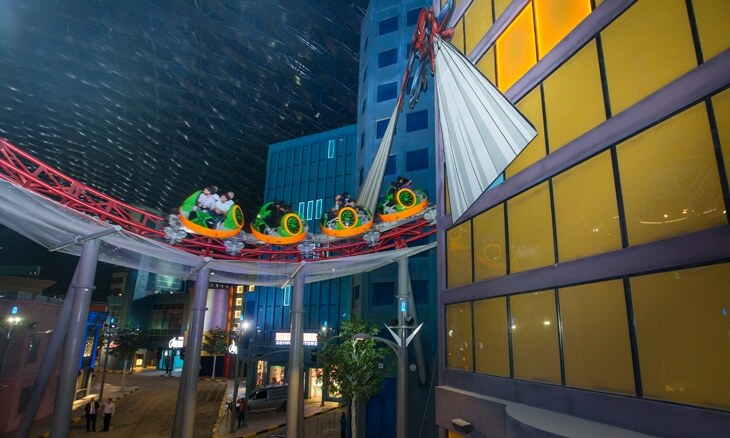 You will find the largest indoor theme park in the world, how could it be otherwise, in Dubai. 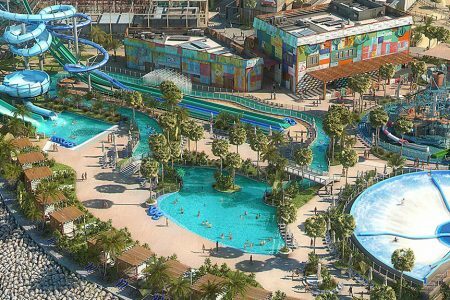 With the covered IMG Worlds or Adventure theme park, Dubai also hopes to attract more tourists to the city in the hot summer months. The $ 1 billion IMG Worlds of Adventure theme park opened its doors and has no fewer than 28 football pitches (140,000 square meters). The park has several roller coasters and four different themes, including a huge dinosaur land with moving dinosaurs. 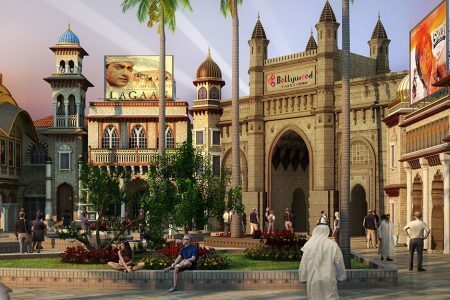 The expectation is that more than 10,000 visitors will visit the indoor theme park every day in the coming years. That does not mean that the park will be crowded, the maximum capacity of the park is 20,000 visitors per day. Would you like to discover this enormous indoor amusement park once with your own eyes? Tickets for the IMG World of Adventures theme park can be booked in advance on the Tiqets website so you do not have to wait in line before you can start your day. 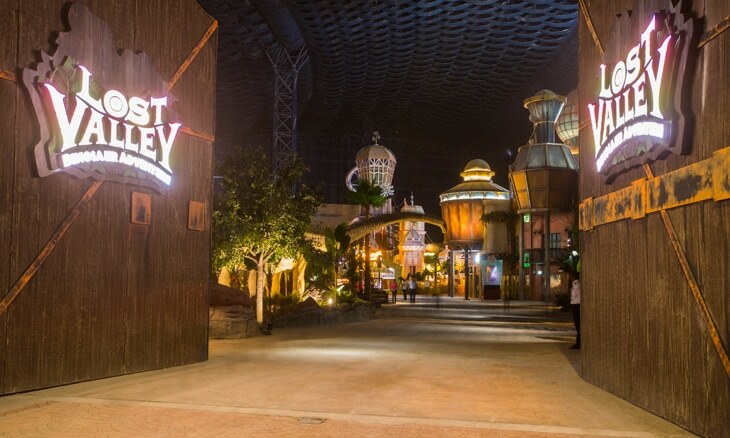 The amusement park is divided into four Adventure Zones; the Marvel Zone, the Lost Valley – Dinosaur Adventure zone, the Cartoon Network Zone and the IMG Boulevard. You will also find 12 Novo Cinema’s IMAX cinemas, 28 catering establishments and 25 souvenir shops. For lovers of the MARVEL comic books, the amusement park is a must-see thanks to the special MARVEL zone. All comic strip heroes from MARVEL, including Spider man, The Hulk, Iron Man, Thor and The Avengers can be found in the MARVEL Zone of the theme park. Almost everything in this area is built in the atmosphere of the MARVEL comic books, from the shops to the queues and of course the attractions. Attractions you can find here are the Avengers Battle of Ultron, the rollercoaster Spider-Man, Doc Ock’s Revenge with revolving carts, Avengers Flight of the Quinjets and the state-of-the-art Hulk Epsilon Base 3D cinema. In this cinema you get the chance to see The Hulk fight with his bloodthirsty enemies on the 360 ​​degree 3D screen. The moving seats and the fact that the seat can move freely from the 12 separate IMAX screens with 10 revolutions per minute makes the experience even more intense. 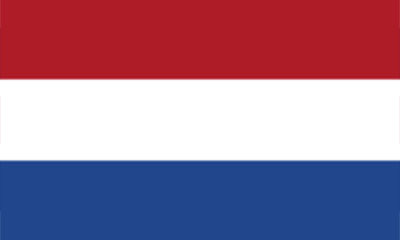 This attraction is the first of its kind and can not be found anywhere else in the world. In the Avengers Tower you can find the topspin attraction Thor’s Thunderspin. 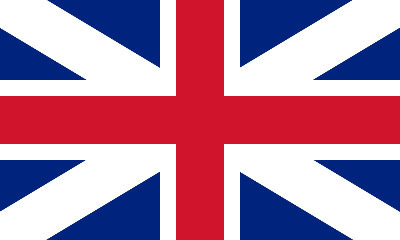 These attraction has two separate arms, each with a row of seats, the arms run separately from each other. No attraction for people with a sensitive stomach. 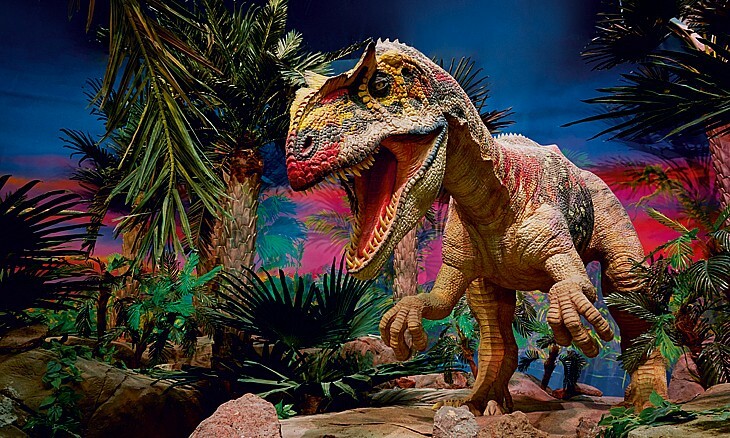 Lost Valley – Dinosaur Adventure zone takes you back to prehistory and the world of dinosaurs. This 65,000 square meter theme world is the largest and most impressive of the park where you can find two roller coasters. Highlights in this themed world are the Predator, a dizzying roller coaster with loops and corkscrews and a vertical drop of 35 meters. There is also the outdoor roller coaster Velociraptor, a roller coaster that shoots you to the 100 kilometers per hour within 2.5 seconds. You can imagine that you will go at high speed, several corkscrews and sharp turns shoot gives you an adrenaline shot. In Lost Valley you will find 69 moving dinosaurs that were specially built for IMG Worlds of Adventure in Japan in collaboration with the Natural History Museum. A special experience to see the dinosaurs on the move. If you are in this Lost Vally, it is like you are back in time. Those who prefer to leave the roller coasters can go to the child-friendly Dino Carousel, The Adventure Fortress where you can get a safari through the jungle and an adventure attraction with ladders, tunnels and swings. Learn the skills needed to protect the village from the dinosaurs of Lost Valley in this adventure playground… have fun exploring ladders, tunnels, slides, bridges, nets and climbing challenges. In the family-friendly Cartoon Network section of the amusement park you will find all the well-known cartoon characters from Ben 10, LazyTown, The Powerpuff Girls, Adventure Time and The Amazing World of Gumball. In the Cartoon Network Zone you will find the Powerpuff Girls – Mojos Robot Rampage, Adventure Time – The Ride or OOO with Finn & Jake. The Adventures of Gumball, an attraction in the dark that is suitable for all ages. Here you have to rescue Gumball and Darwin from the bad guys with a laser. You can eat in style by Mr. Smoothy. 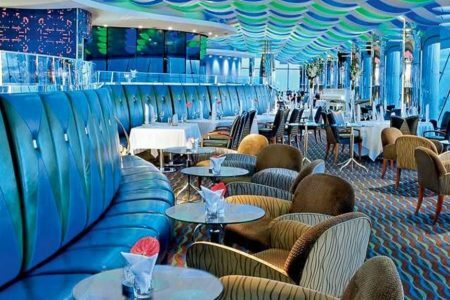 You can hang out with Ben 10 and his buddies in this American-style diner where the smoothies have to be tasted to be believed! Burgers don’t get better than this – you’ll want to keep coming back for more. One of the dining options is the The Popcorn Factory. The Popcorn Factory brings to life the wonderful world of gourmet popcorn and other candy concoctions in a visual blast of color – a treat to watch and a delight for the tastebuds. With unique flavors of popcorn, candy treats and a fantastic show kitchen, the Popcorn Factory is an IMG Worlds of Adventure must see! Maby you will find the Haunted Hotel, an attraction that is only accessible for 15 years and older. And that is not without reason, in this dark attraction you will be frighten away by the most scary characters from your worst nightmare! The highlight of this attraction is the slaughterhouse where the bloody butchers will frighten you away. Wonder if you dare to enter here. 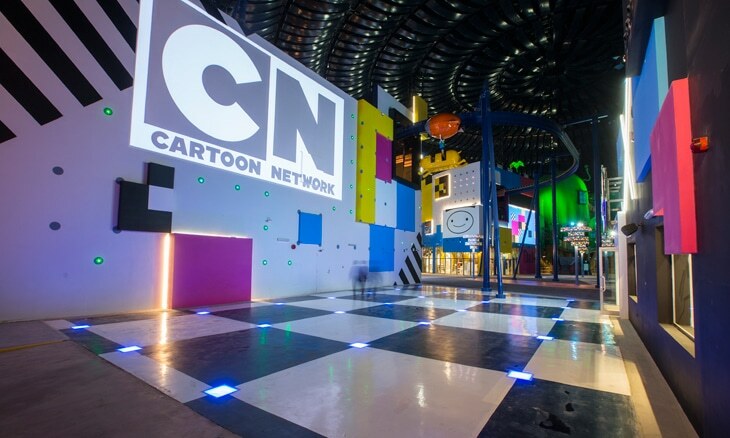 At the CN Live Stage Show, a family-friendly show, there are plenty of live shows to admire daily with the characters from Cartoon Network cartoons. A ticket for adults for the IMG World of Adventure park costs 70 dollars per person. You are count as an adult if you are longer then 1,20 meter. A ticket for children costs $ 64,25 (They have to be between 1,05- 1,20m). A ticket for children that are under 1,05 m are free and a ticket for seniors (60+) costs 43 dollars per person. Click here to book the tickets online so you do not have to wait in line before you can start your day. The mentioned prices may have changed, for the current admission prices please refer to the website of the ticket seller. The IMG Worlds of Adventure theme park is open 365 days a year. The theme park is open from Monday to Sunday from 12:00 am to 08:00 pm. On the grounds of the amusement park you can find cash machines and wheelchairs or lockers can be rented. The wheelchair, the deposit for it is $27,00. A small locker for a day can be hired for $12,25, a large locker costs $15,00 and a extra large locker costs $16,34 per day. IMG Worlds of Adventure is located on the E311 (Sheikh Mohammed Bin Zayed Road) near the Arabian Ranches and next to the Global Village complex. The best way is to travel to IMG Worlds or Adventure by taxi or private transport because there are no bus stops at the entrance to the amusement park, but chances are that they will come in the future as the amusement park expects a lot of visitors. The taxi stand is within walking distance of the entrance of the amusement park. If you still want to travel by bus to the IMG Worlds or Adventure theme park, you can use the bus service to the neighboring Global Village between November 1 and early April. Keep in mind that you have to walk quite a bit from here and therefore better take the taxi for the last bit from Global Village to IMG Worlds of Adventure. There are also two bus lines from the RTA that go to Global Village. The first bus line (103) starts at the Union Station. The other bus line (104) starts at the Al Ghubaiba Station. The lines run between 15:15 and 23:15 and run every half hour. For more information visit the RTA website.